As I look back on Christmas and Birthday gifts we've given our boys over the last few years, there are a few that I would purchase again in a second. There are others that have faded in time, but there are a few that I think are just awesome all around. None of them light up or play songs, but they all teach something along the way. 1) A Strider Bike. There are a lot of different brands of these bikes without pedals, but this is the one we have. If you aren't familiar with these bikes, let me explain the concept. They teach kids to balance, which is something a 2-wheeler with training wheels doesn't do. They learn where to put their weight. We bought it for Rex on his 4th birthday. He rode it for about 2 weeks and then we took him to the park with a regular 2-wheeler. It took about 15 minutes and he had it. Now, you might feel like it's a waste to buy something they won't ride for a long time, but nothing teaches them like this bike. It would be awesome to have a neighborhood one that every kid could borrow at about age 3. Baden has been riding it for the last year and a half. He loves it. He can actually ride a 2-wheeler at age 3 because of this bike, but because he is a more cautious kid he prefers riding the Strider instead. He even keeps up with Rex pretty well while riding this. Ours doesn't have brakes, but you can buy the nicer version that has brakes. After pedaling a trike and then using this, the regular bike is a simple transition. I have no regrets about this purchase and I highly recommend it. 2) Magna Tiles. A few years ago I saw these at a friends house and then I was reminded about them HERE from Steph at MPMK. We made this our big Christmas present for both kids this past year. We purchased the translucent ones HERE. They are a little more expensive than the solid color ones HERE, but the boys can see into them and they like building prisons for their bad guys and garages for their cars. It was a lot to spend in my mind, but this is another toy that I do NOT regret buying. They are plastic tiles with magnets long the edges. (Don't worry - the magnets are well concealed.) You use them to build anything you can dream up. My kids have played with these like crazy. I've had older kids come over and they spend hours playing with these. I actually really like playing with them myself. You'd think that you'd build a few things and then run out of ideas, but every time my kids get them out they come up with something different. I think it fosters their creativity. If you purchase them, the best price is on THIS SITE. If I had a lot of extra cash lying around I would buy these for my kids' classrooms. They are just awesome. 3) Legos. As much as it pains me a little to list Legos, they really are awesome. I hate stepping on them and no matter how hard we organize them I still find stray ones in random places. However, the boys truly love their Legos. We actually have a lot of them that were my husband's as a child. His awesome mom saved them for him. Rex will disappear to the basement and build for a while. He and his dad will build together sometimes. Baden will play with both Duplos and regular Legos at this point. He's kind of in transition. Either way, I think they teach my boys great things and I might just save them for my grandkids like my mother-in-law did. So, do you have a toy purchase that has stood the test of time? I would love to hear your suggestions. Thanks for reading. We have a Skuut (wooden version) balance bike and swear by it. My oldest got it at 2.5 and was riding a 2 wheeler at just over 4 and now my youngest uses it at age 2.5. Best purchase ever. Love Magna Tiles! My MIL had a set that she brought home from school for my boys. They love them. We use them for building, sorting, colors, etc. Love all of those! We don't have our own magna tiles, but we play with them at the local children's museum, I am going to look into buying them after this post, though. The balance bike is amazing. We got one for my second son when he was 2.5 and he rode it for a year, delighted to go much faster than the bigger boys (brother included) on their training wheels. He switched to a two wheeler before he turned four and the transition took about two sessions of trying. We are happy to have it to hand down to our third baby! We love our balance bike here too! My 3.5 yr old wouldn't and still won't pedal on his tricycle. It took quite awhile for him to be comfortable sitting on the bike. It was great to watch the concept click with him and now he love his bike! We usually go about 2 miles each day with it and we always get comments about how cool it is. Plan on the Barbies!! My two girls love my old ones so much. They're 2 and 8. And we love/hate Legos here, too. Boys and girls! (Boys are 4 and 6). Hope you are feeling great sweet girl!! Legos definitely stand the test of time, and Magna Tiles are awesome (we play with them at the museum, too!). Even though I have a daughter (in between the 2 boys), Barbies got no love at our house. She gave nearly all of them away by age 6 (we had a huge hand-me-down stash), saving just a few for when friends come to play. Baby dolls (when she was a toddler) and her American Girl doll now are the long-time favorites here. For kids of all ages and genders, the toy that has gotten the most play is Tinker Toys! We have a couple of big buckets, and especially when there is a crowd of kids, they use them to create whatever props they need for whatever game they're playing: swords, guns, guitars, drum sticks, microphones, towers, obstacle courses...Unfortunately, I find them all over the yard and house all the time! I purchased the 100 pack and I would say it's enough for both of my boys to play with at once. The box seems small, but it's enough to build a whole lot. I'm so glad that you don't regret buying a strider. My husband has dreamed about getting one for our son, he is only 19 months. We will definitely be getting him one no later than his second birthday. I know it's early, but he loves bikes! I was surprised by the magna tiles because I use these in my math class. I teach 6th and 7th grade and they are perfect for teaching surface area and volume of 3-D shapes. Geo-trax. My boys (starting with the set that we got our oldest at age 3 - now almost 11) LOVE these... And the fisher price quality is excellent! Our son just turned one and my husband and I have (already!) been drooling over the Strider bike. I think we'll go ahead and get it now. If he's not interested then it'll be there when he's ready! He loves his dad's old metal Tonka truck. Glad he kept it all these years. They don't make 'em like that anymore! Our play kitchen has been a fantastic purchase. Boys and girls alike both love it. 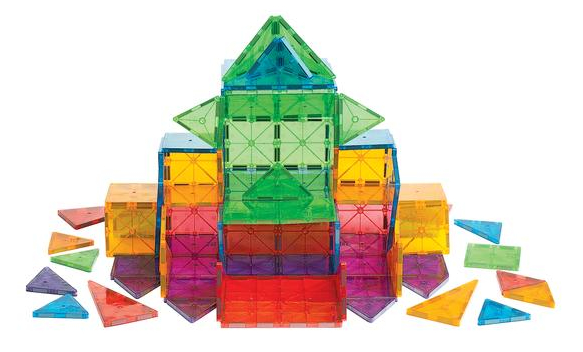 Oh my gosh, magnatiles remind me of those plastic shapes that teachers would use on the overhead projector! :) So cool!! 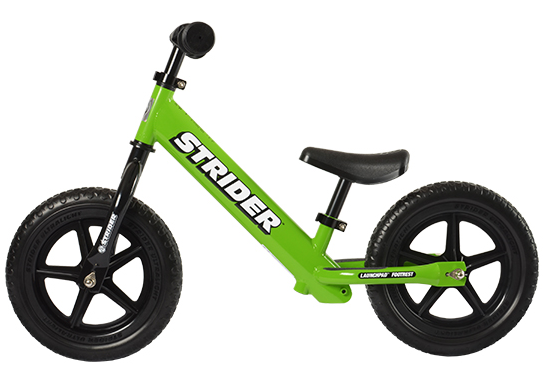 We love Strider bikes! Both my boys starting riding ours at 18 months old. And it is a great way to learn balance. But if you don't want to spend the money and your kids are older, my cousin bought a pedal bike in the right size for her son and lowered the seat (so he could touch the ground) and removed the pedals. Balance bike and regular bike all in one. Oh that is a fantastic idea to just remove the pedals! Thanks for the tip. This is a fantastic and cost effect alternative! Thanks for leaving this as a comment, I might have to use this for my daughter! We did the same for our son (removing the pedals). He learned how to ride his bike with no training wheels in a day after we did that. I wish I had done that when I was a kid! I did that with my son too! He is sometimes lacking in the self-confidence department, and after he turned 6 he was still terrified of ditching the training wheels, but I could see that he was jealous of the other kids riding their 2-wheelers around the neighborhood (and I dreaded running alongside his bike holding the seat for weeks, and just didn't think I could do it with a 2 year old to watch and a baby in the carrier haha). Finally I typed "teach your kid to ride a bike" on youtube and came across a video that showed the method of lowering the seat and removing the pedals. It worked, so quickly and so well! It only took two one-hour sessions outside for him to be able to ride his bike confidently on two wheels! I was so amazed!! We have four boys and lots of bikes- so this is a great tip- thanks! I haven't tried the first two, but we love lego as well. My partner's parents also saved his & his brother's collection from when they were young so there is so much lego in our life. It's a little easier to fork over the cash for lego sets when you see that they will last for multiple generations! My granddaughter loves legos so much that for the family vacation to take place after her Dad gets back from Deployment they are going to spend 3 days at LegoLand in California. They have all kinds of sets ment for Girls now. My grandson has a strider bike, but he is still riding his trike. Time will tell on that one. We made our own scoot bike. We just got a tiny bike from a yard sale ($5) and took off the training wheels, petals and chain. This summer, we plan on putting them back on this summer for our son. Awesome! Matchbox cars have been used by my son for 3+ years now. Mats, tracks, wrapping paper tubes, slide, legos, no matter what he's playing with, or where we're at, there's a car in each hand. We just took the petals off their regular bikes and slapped them back on when they could roll along and lift their legs. Best 80 dollars we never spent!!! Just a tip to pass along. I would second the play kitchen that someone mentioned above. Kids of all ages and both girls and boys love it. 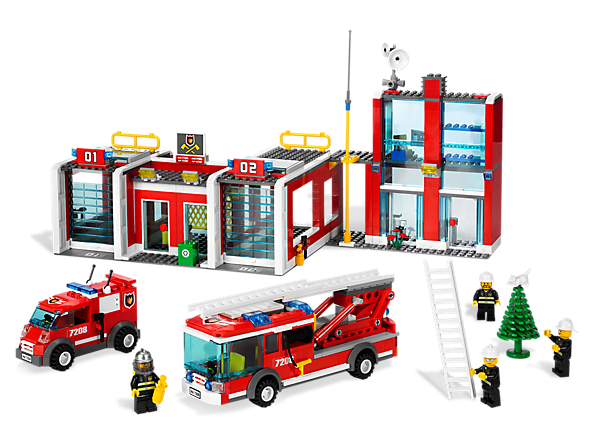 We also love Legos around here and Bruder trucks if you have a truck-loving toddler that isn't too rough on toys. I've kept Fisher Price Little People sets when we've done some purges. It's another toy that both boys and girls like and they don't outgrow too quickly. The Fisher Price Loving Family doll houses are great for girls. I only have one daughter that's now 11 and doesn't play with hers anymore, but any time I have a friends over with little girls, it's a hit. I would say the same with Littlest Pet Shop toys for girls. iPad.. that has been our best purchase! I know it's not the "typical" learning toy and it's extreme.. but for Owen.. it is phenomenol!! He won't build legos yet, but is the first to DESTROY them. He has a million superhero figures.. villans.. and plays with those non stop. I will look into those Magna tiles.. that would be a fun activity for our long days in the hospital. Plain old wood blocks have been a favorite around here since my daughter got her set 2 years ago (she's 4 now). I also love Magna Tiles and Legos. Building toys are just awesome. There's a circuit set out there that I first saw on kickstarter.com that I can't wait to get for my daughters when they're a little older. Other favorites are dress ups, our play kitchen, and stuffed animals/dolls. Oh, and I'm not sure if it counts as a toy, but both my daughters were delighted this week when it was warm enough to play in the sandbox. Imaginext toys for super hero's and Playmobil pirates. My 5 year old has been playing with both for a couple years and continues to enjoy them. He's big on lego's too. Magna Tiles are a wish list item for me for sure! I'm sure they would be worth it, but they are spendy! Marble Works are a go to in my house. I still enjoy putting them together and racing the marbles down. Those look really cool...have never seen them before! Every time I checked at Amazon they were a lot more. I just checked now and it said $150 and back at Christmas they were listed for even more. However, it's definitely always worth checking. Thanks for the tip, Erika! Sister love joining in to build it, and add and change it all the time, we have a big wheel out under bed draw with a divider, one side holds built things while the other side has the loose pieces. That way it can be wheeled away out of sight and reach for the terrorizing toddler twins when they breach the bedroom door! Haha. I have a bike just like that.. I used my younger brother bike and removed the pedals. now my son is using it and its a great exercise activity for him. Magna Tiles are awesome I agree! Another wll worth it toy are Wedgits. A manipulative toy that spans all ages!!! Love, love, love them! They are harder to find than when we got them 5 years ago but they may still be out there. A purchase I would make again for sure. Legos have been a hit for all 4 of our children and I have 2 girls and 2 boys. Since you're Legos fans have you been to Park City to the Kimball Art Center? They have a Legos art exhibit till April 2nd and its free! I'm taking my family this weekend. It looks so cool! It was as much fun for the adults as it was for the kids! Definitely worth the drive! There weren't as many figures as I expected, but it's very cool to see, and my 5, 7 and 35 year olds were inspired! Animals, my boys love them. We get Wild Republic sets which come with anywhere from 5-10 animals in them and they are strong and plastic and only about $10 a set. We also like the Toobs animals and people. My sons love the army guys (American revolution and Civil war) along with the knights. They love to act out scenes. Also we get ours at JoAnn fabrics and always use our 1/2 off coupon. The Toobs ones are way better and cooler than the cheap-o green army guys, much more detail. Both these toys are fairly universal, my 5 and 3 year old boys love them along with the boys AND girls we occasionally babysit. All kids love animals.